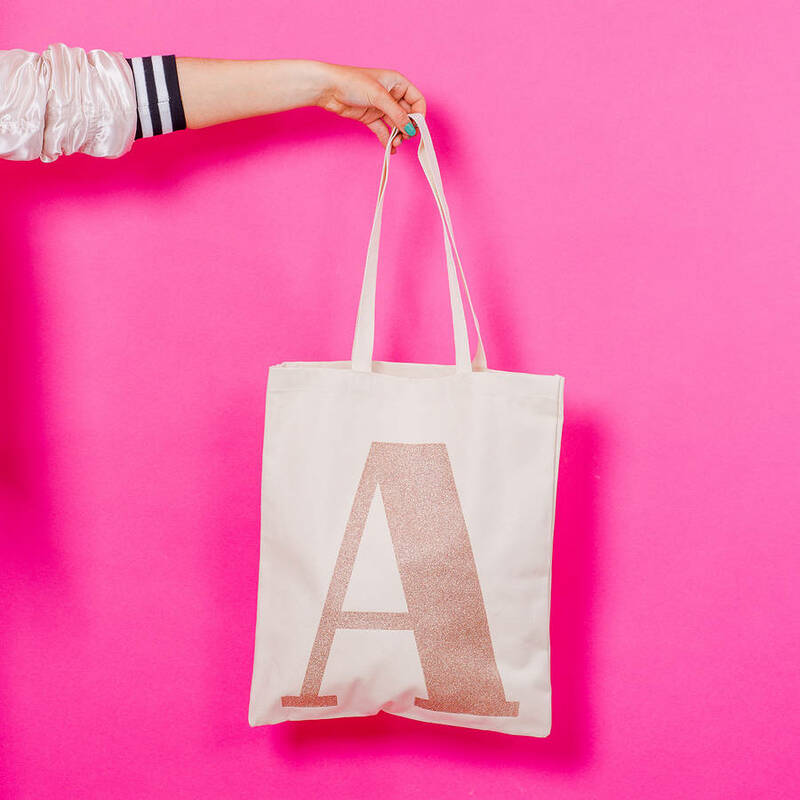 Glitter initial bags from Alphabet Bags. 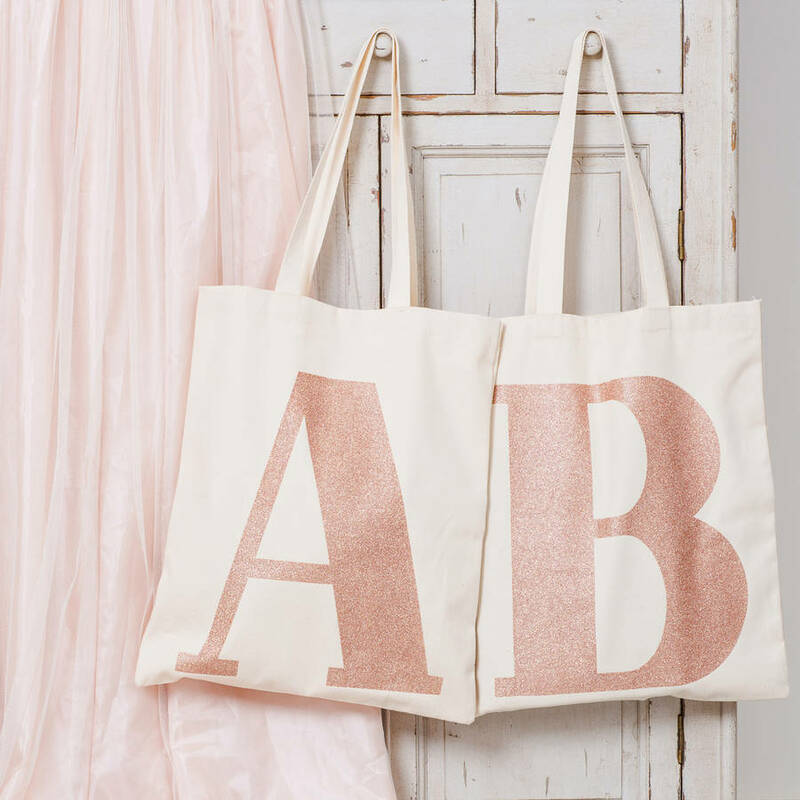 Your choice of letter, printed big and bold with rose gold glitter on a beautiful heavy natural cotton tote. 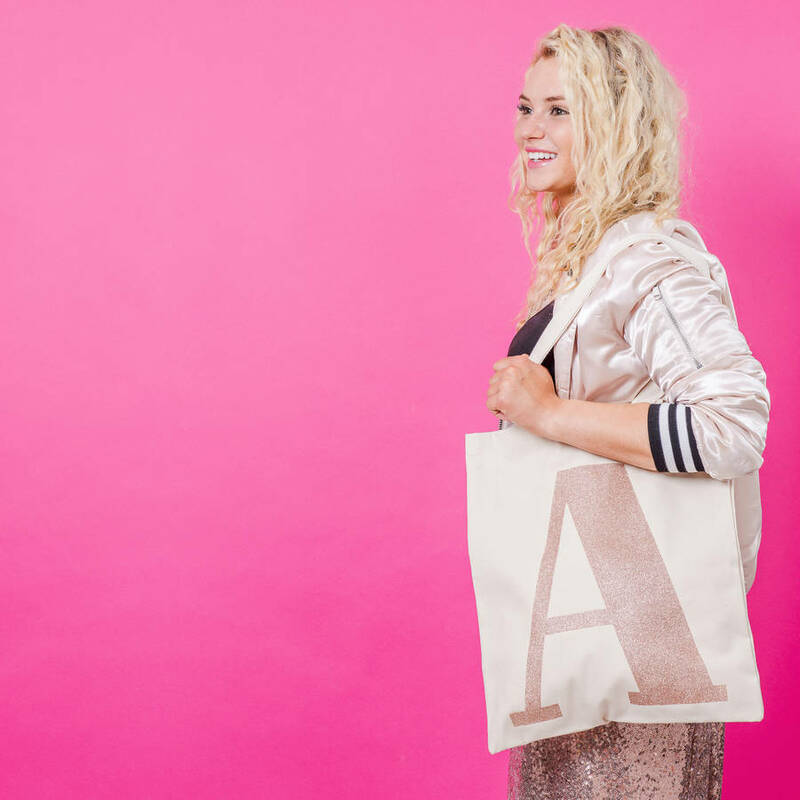 An extra special and super sparkly new collection. 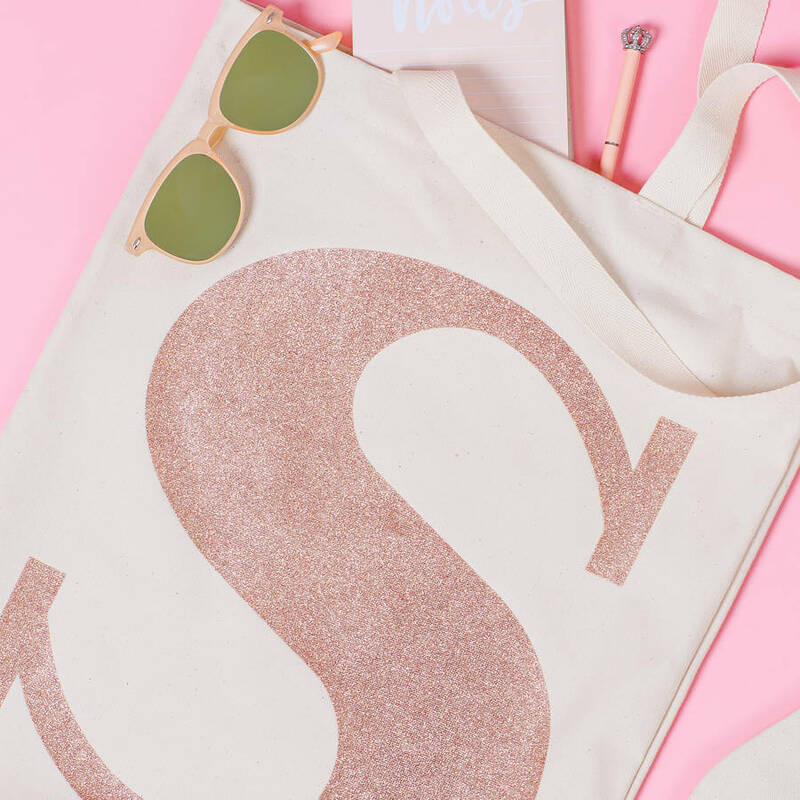 The perfect personalised gift for anyone who likes their accessories to shine! 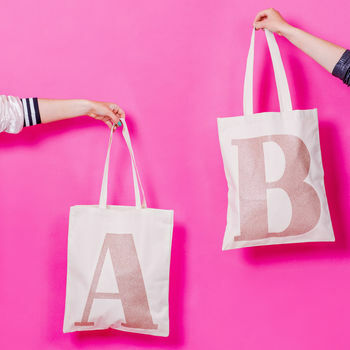 Our initial totes are available with every beautiful letter from A to Z. 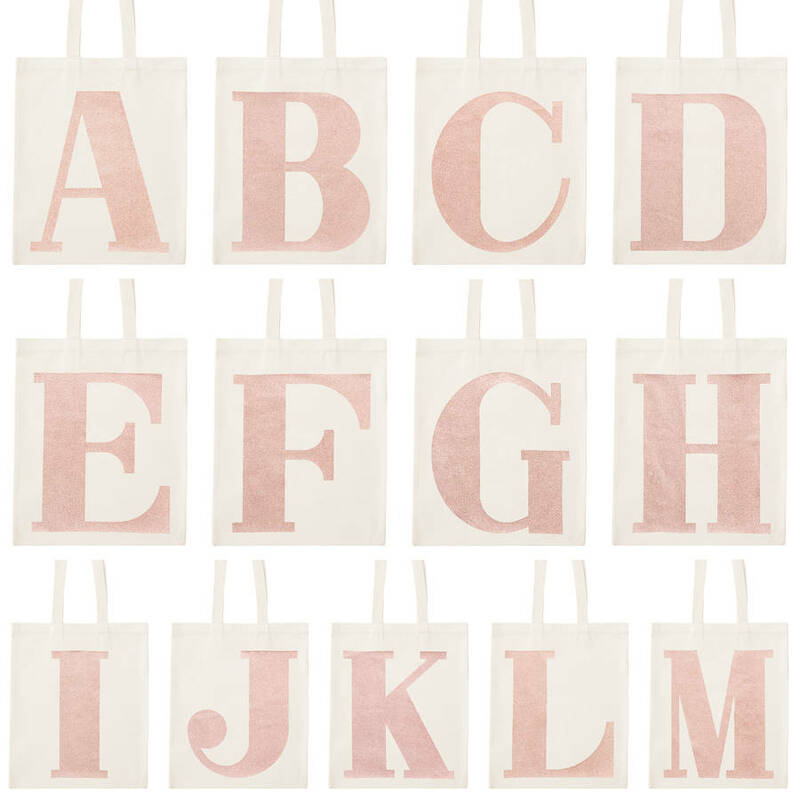 To view each letter please browse the images above. 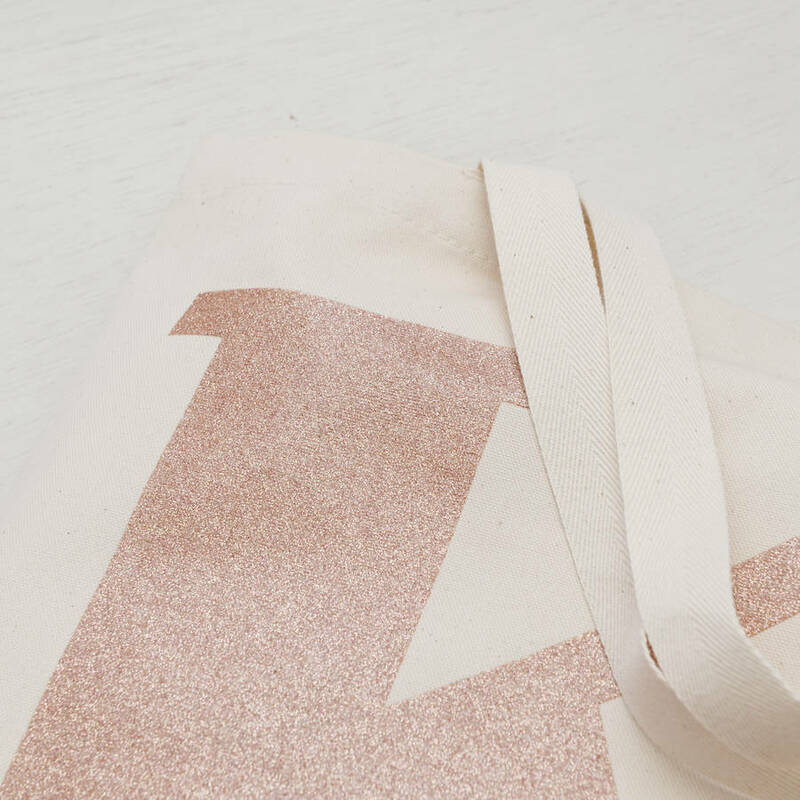 Made from 100% natural cotton and printed with rose gold glitter. 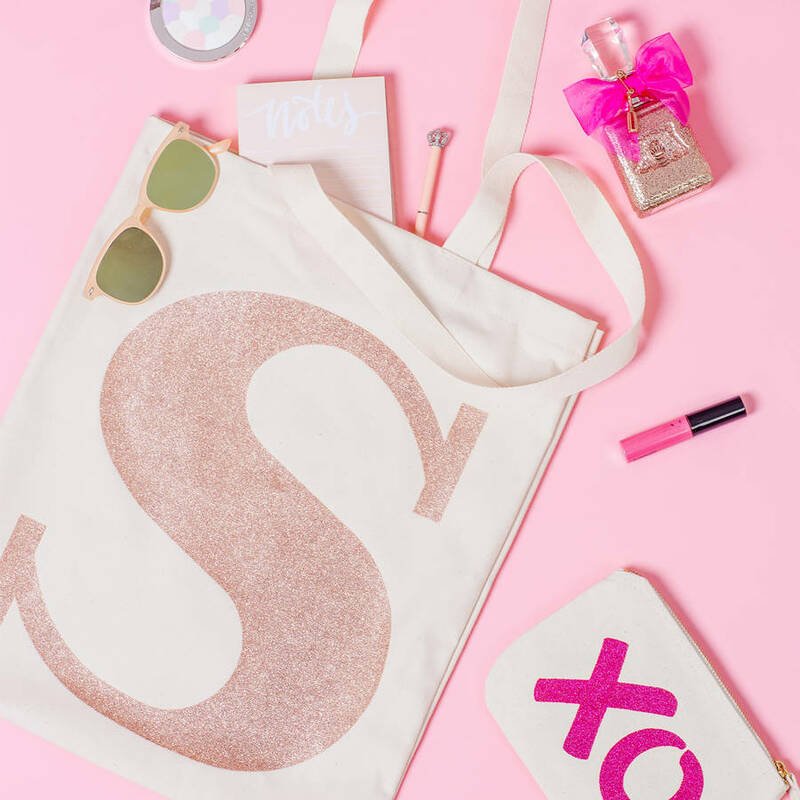 The glitter is a delicate embellishment. 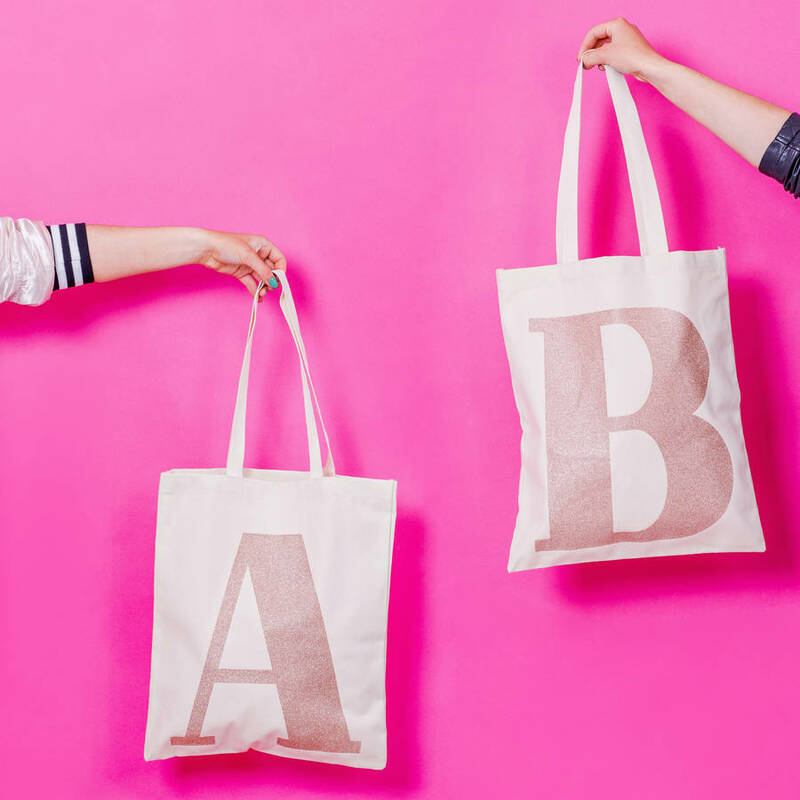 These bags are not machine washable and we do not recommend washing by hand. 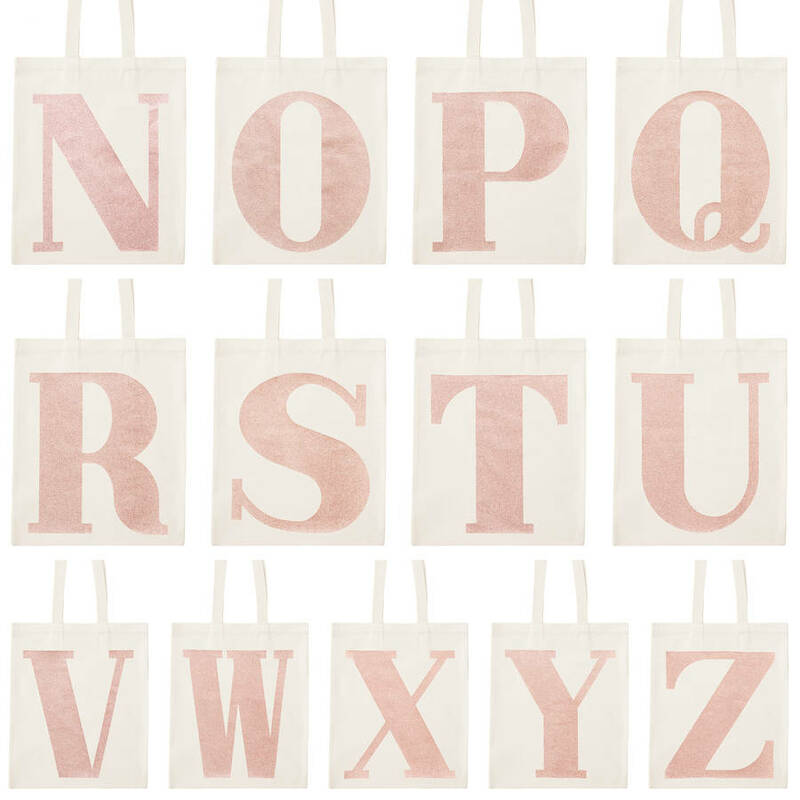 Do not iron printed area.